Growing up in the South of England meant I had minimal exposure to a true representation of Mexico, experiencing instead occasional associations including a toy shop piñata at a birthday party, sporadic meals via Old El Paso Tex-Mex kits from grocery stores, or consuming copious shots of Jose Cuervo with merry friends (followed by multiple pained facial expressions). Venture into the City of London and you’ll find more progressive restaurants looking to celebrate nuances in cuisine such as restaurant chains like Wahaca, providing eager visitors with a plethora of market food options (Oaxaca may be the proper spelling but your average diner may not have time to decipher this between margarita-glugging and taco-popping). 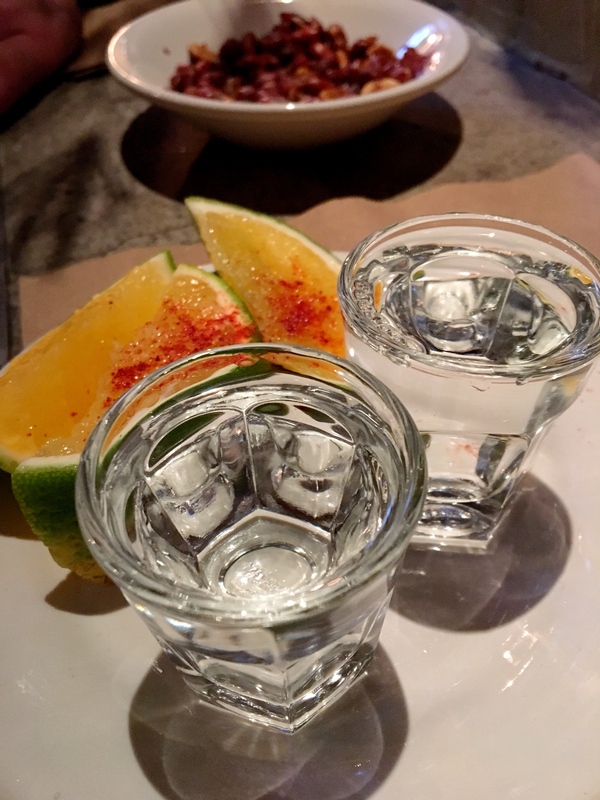 Moving to Austin, Texas meant a much broader accessibility to food, crafts, and language, with the increased proximity to Mexico making it undeniably more possible for exploration (it’s less than a 4-hour drive to the border and an easy 2.5 hour flight from Austin to Mexico City). Austin itself is a city striving for social progress and more intercultural connectivity, with an example organization such as Austin Sister Cities International (ASCI) of which Saltillo, Mexico was the first of (now) 13 sister cities to the Texas Capital since ASCI began in 1968. 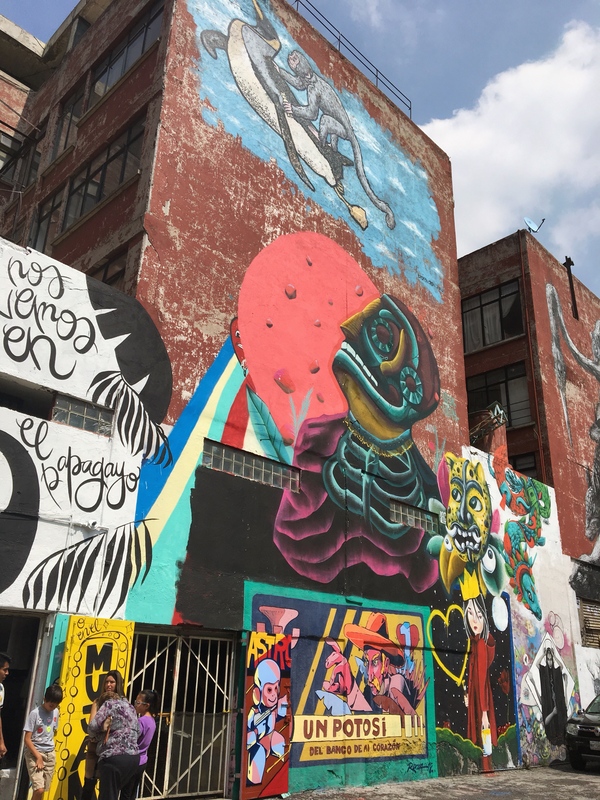 Mexico City was to be my first destination in this complex, vibrant country so I hope you enjoy these key tips gathered over a long weekend in July. 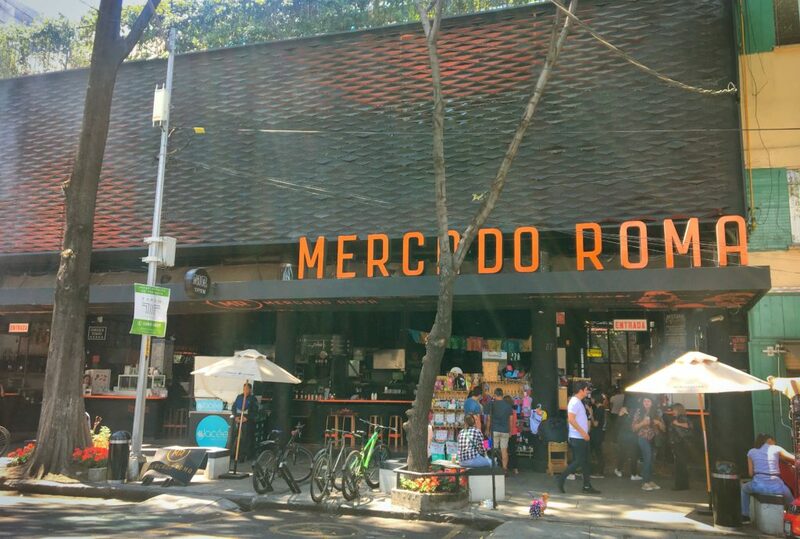 Mexico City is B-I-G, making a bold geographical imprint with a population of around 9 million people and a land area of 1,485 square kilometers (573 square miles). Having been fortunate to have travelled to various destinations, there was a comforting familiarity with the bustling metropolis that greeted us at the airport, an organized chaos that felt similar to arriving in Manila’s Ninoy Aquino Airport. 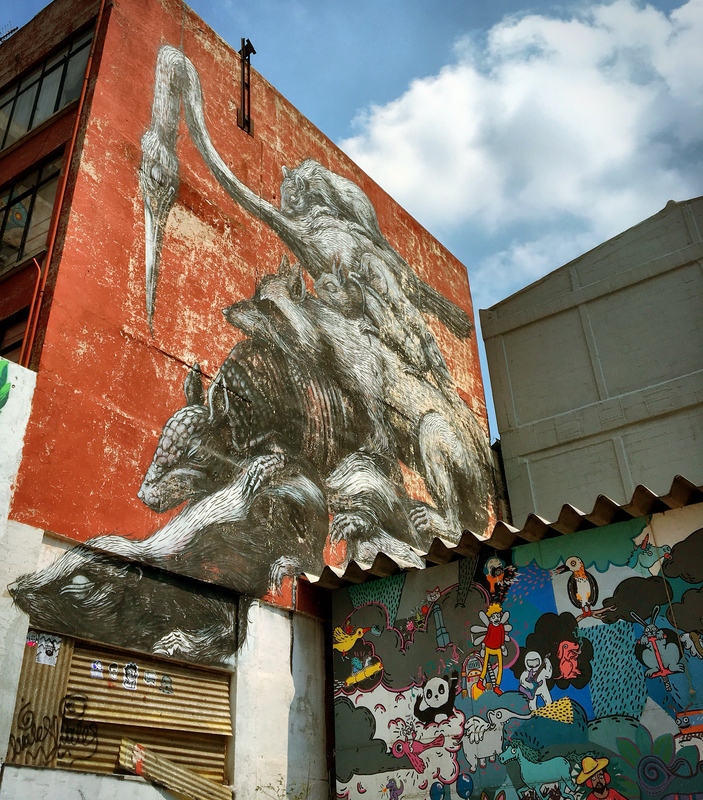 As you enter the city, graffiti sprawls the walls everywhere, both as art and in protest, while cars drive side-by-side in somewhat uncomfortably close distances. It’s a city impacted by history and revolution, with gnarly tiles spilling onto pavements and concrete paths displaced by tremors. A couple sit on a bench mid-embrace as the wind swirls leaves around their feet, while workers eat their lunches and converse with taquería vendors. Common scenes found in any city but more picturesque when you’re on vacation. There are various ways to get around which include the subway and buses, but as bona fide tourists, Uber is convenient and cheap (it cost $9 from the Airport to our hotel in Roma Norte) ensuring heathens who spoke minimal Spanish such as ourselves had an economical and safe mode of transport for our inaugural trip. Turibus is the one of the main tourist bus services in the city, running from 9am to 9pm, using the common hop on – hop off format that you find in cities across the world. For a maximum of $10 per day, you can take in most of the main attractions from the top deck of their fleet on an interchanging choice of 4 tours (just remember to duck your head in some instances of low hanging tree branches or power lines). 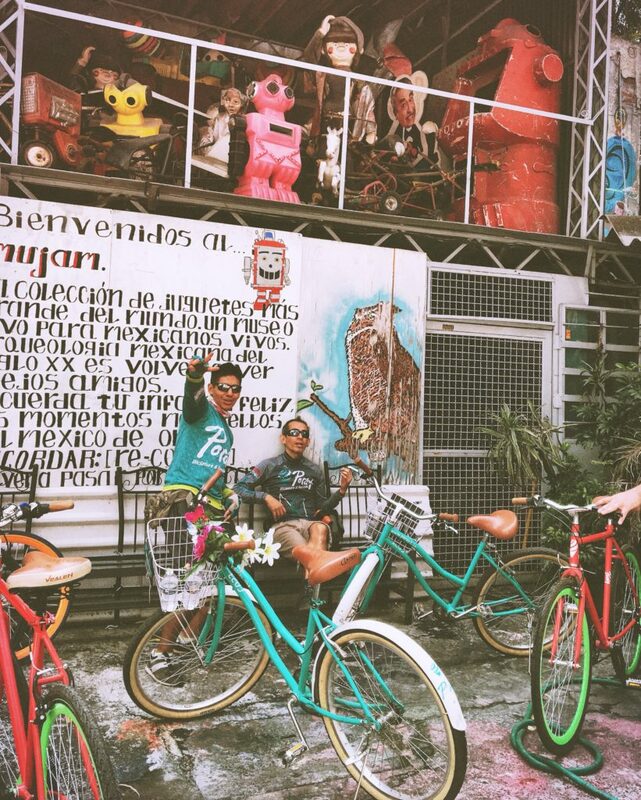 As a keen cyclist, I was eager to test out touristing on two wheels but if you’re concerned about the traffic and driving abilities around the city (which you should be) then I encourage you to try out Poráy Bike Tours. 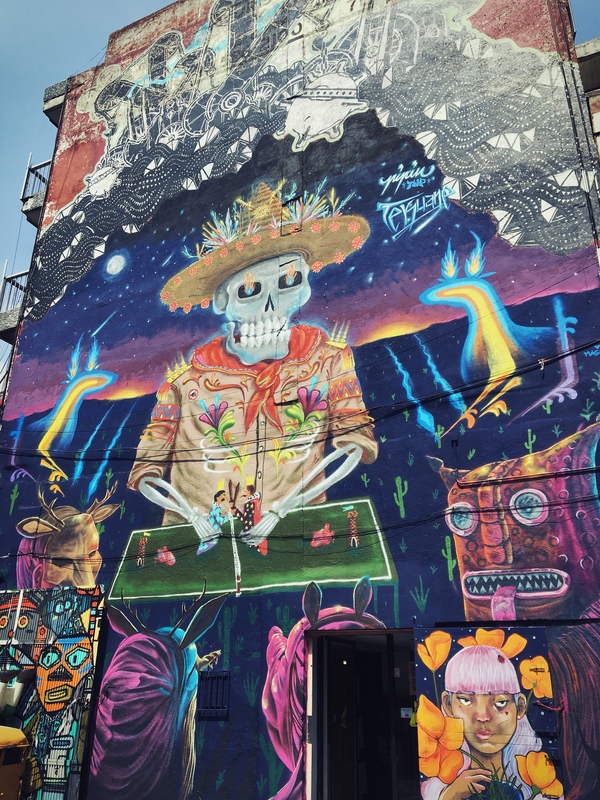 We booked an Urban Art tour through Viator and were hosted by animated and charming guides Dany Colmenares and Pablo Pichardo who took every opportunity to make us feel comfortable while cheerfully informing us about the colourful sights seen as we travelled through the city. More info on this tour later. Whether you like it or not, walking is a necessity to get around and pedometer-owners will be delighted to check their totals at the end of each day. 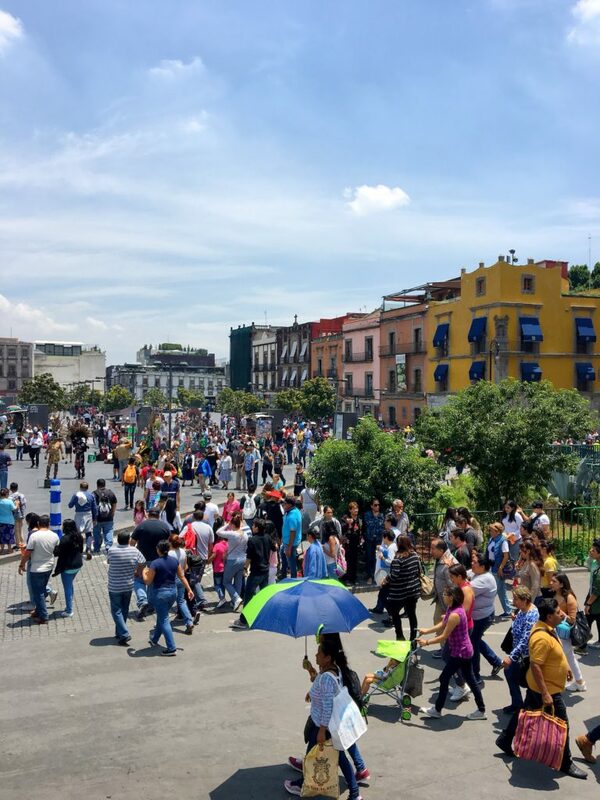 Our average became over 12,000 for the duration of our trip, peaking at 23,078 on one day when I decided to take in most of the Chapultepec park as well as the Roma Norte neighbourhood by foot. Embrace the use of your legs and wear comfortable shoes, just be wary of the unfortunate leveling of many pavements due to a legacy of earthquakes and inner-city tree roots. Precautions should be heeded and water carried at all times. 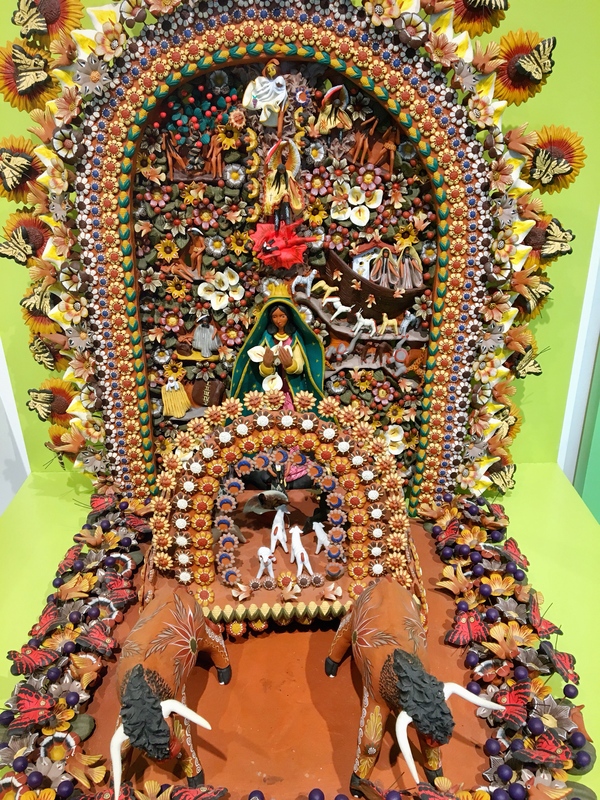 We are truly fortunate in Texas to have access to key museums including the Blanton Museum of Art in Austin and the McNay Museum in San Antonio that are filled with an extraordinary selection of Latin American Art. Featured artists from these museums include Diego Rivera and Frida Kahlo, who are keenly represented in multiple areas of Mexico City. It is undoubtably an important experience to visit the Blue House and gaze upon the Sueño de una Tarde Dominical en la Alameda Central (Dream of a Sunday Afternoon in the Alameda Central) mural at the Diego Rivera Mural Museum however, in a few short days, it would also be a disservice to sweep through them quickly. Most museums are closed on Mondays, so plan accordingly as you’ll be hard pressed to visit most of them in a short amount of time. With approximately 150 museums across the city, it would be impossible and exhausting to rush these adventures so whittle your list down to a few per day. We ended up visiting the Museo de Arte Popular on our first full day, exploring this incredible building that promotes and preserves the wide-ranging arts and crafts from around Mexico. 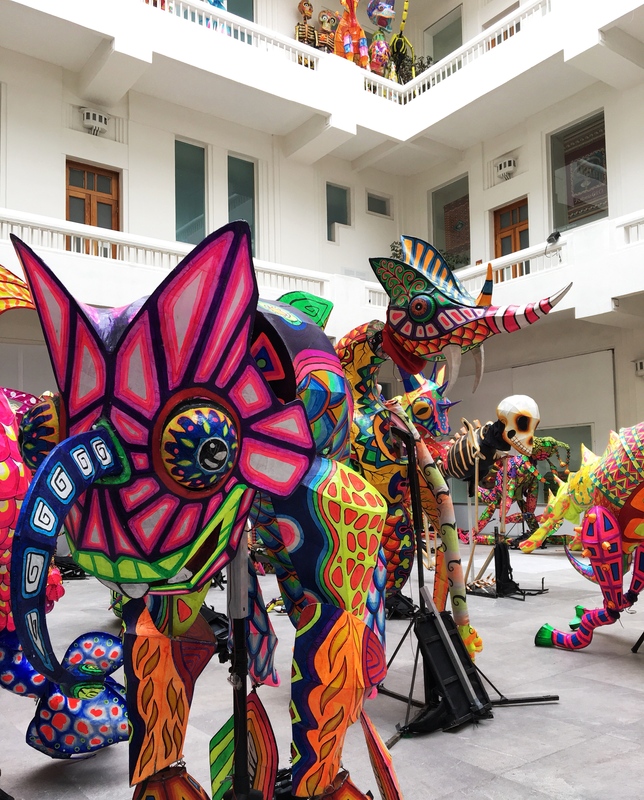 Over four floors you can see intricately carved and painted wooden masks, as well as morbidly humorous scenes of muerte (death), all after being greeted by the huge and colourful alebrije sculptures and floats that the museum is best known for parading yearly. 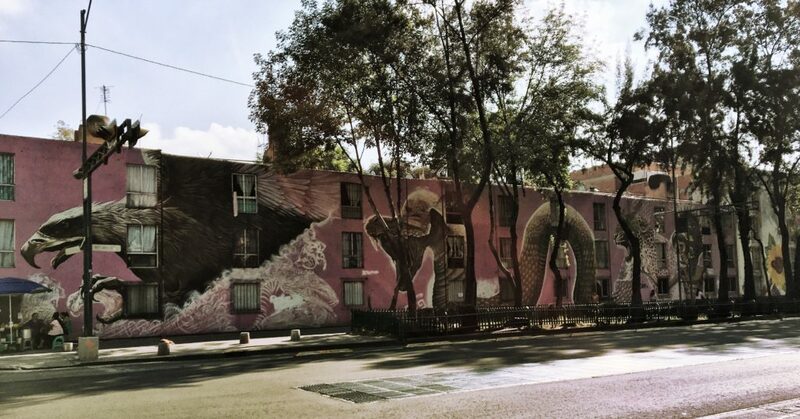 Across the Alameda Park, you will also find the Museo Franz Mayer, opened in 1986 in a building that was previously a flour mill, school and a hospital during its four hundred year existence. Every year Canon hosts their World Press Photo exhibition here and we managed to visit this engaging presentation during the first weekend. 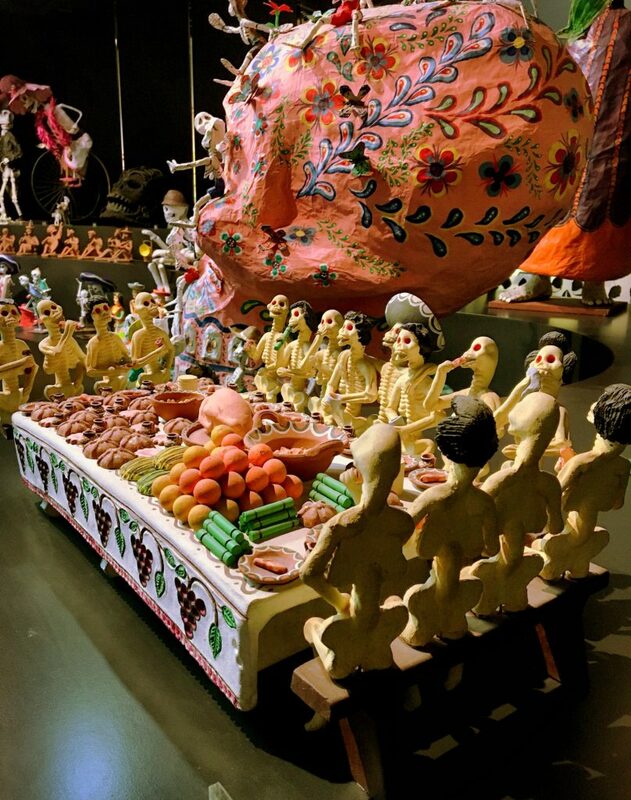 We also walked through a Virgin of Guadalupe exhibition, charting 300 years of devotion to the patron saint of Mexico. This exhibition was entirely in Spanish but although I could not read much of the wall text, the importance and prevalence of this venerated Catholic figure was eye-opening. A blissful courtyard provides a scene for rest and people-watching distractions between art experiences. 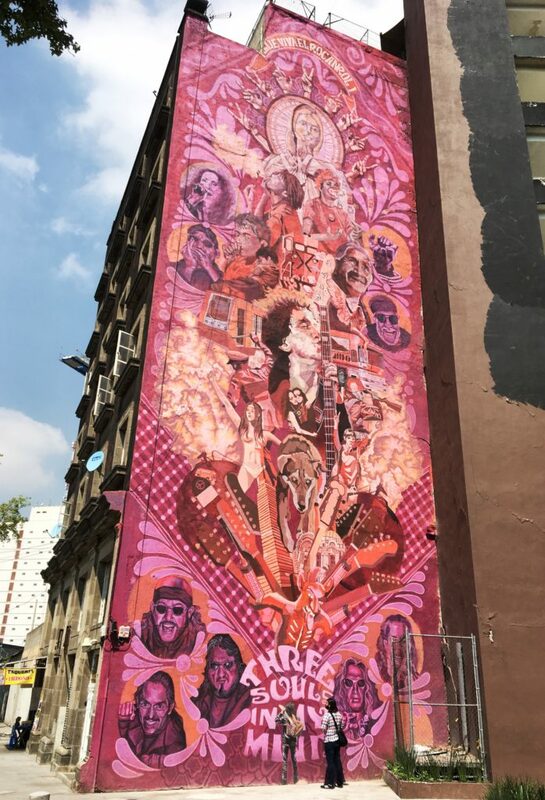 Urban art constantly changes and is a passionate representation of the culture, history, and talent found in Mexico City. As mentioned earlier, our Poráy Bike Tour provided a wonderful insight into the murals across the city that we would not have found so easily on our own. 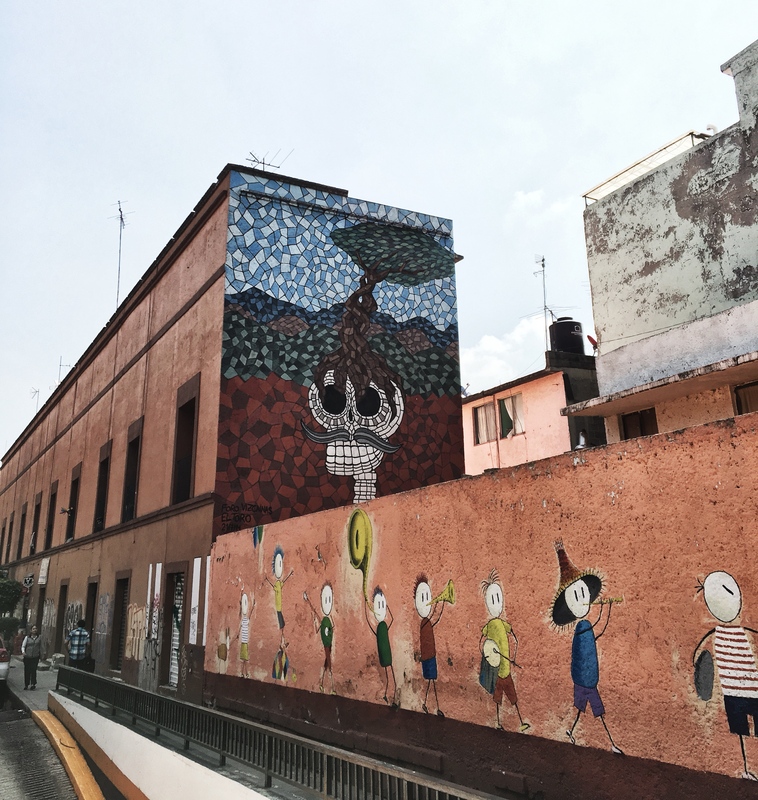 We covered a distance of around 4 square kilometres, including the Buenvista neighbourhood which has an entire street of houses covered with bold symbols and faces, a corridor of art born from community. 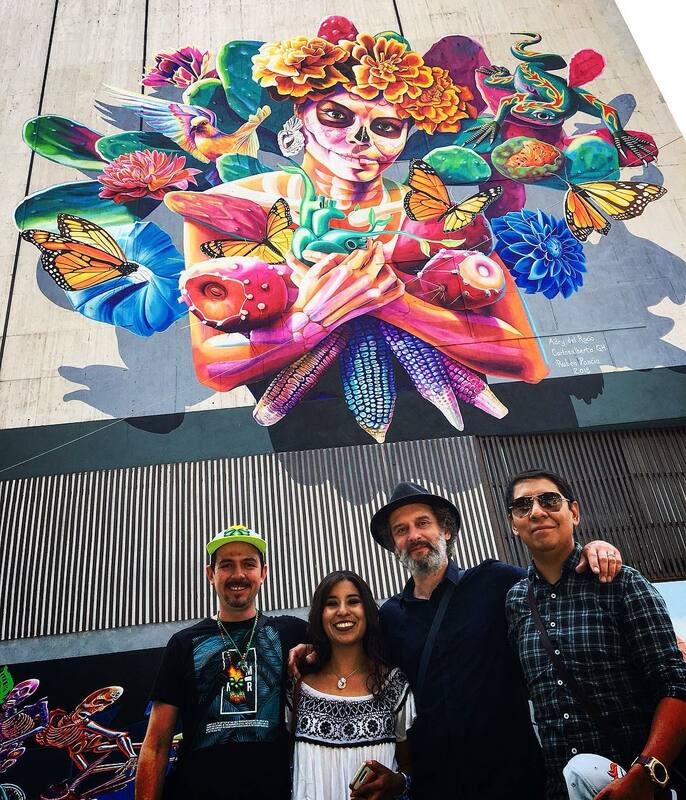 Our tour came to an end after 3 hours, with a serendipitous introduction to artists Adry del Rocío and Carlos Alberto GH, and Ruben Poncia who just happened to be on-site documenting their latest mural at the side of the hotel titled “El árbol de la vida”. 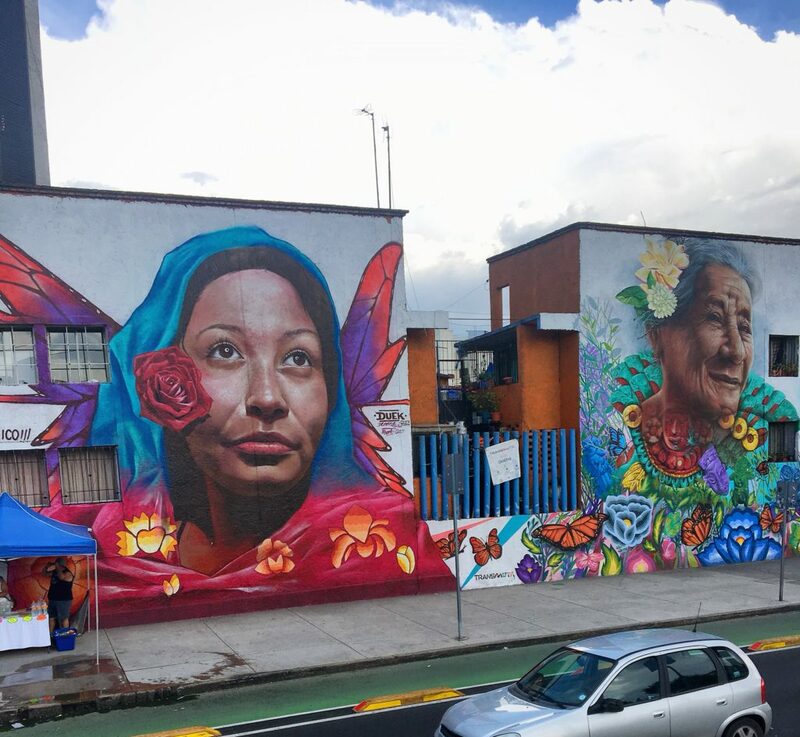 Carlos Gomez, the promoter of community arts organization Colectivo ADN who supported the creation of this mural was also present, explaining the process and mission of the collective. 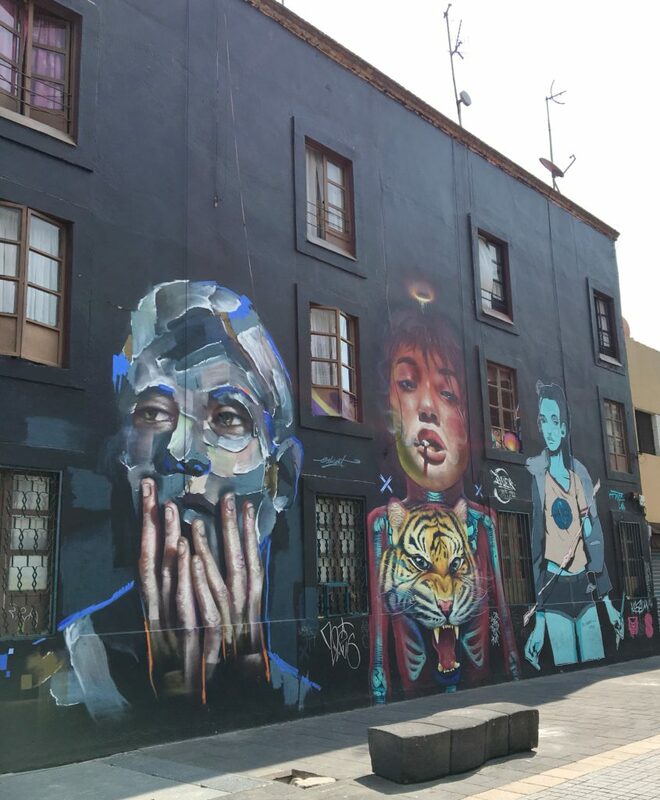 You may associate street art with hipster neighbourhoods that switch up styles as often as their coffeeshops but there is so much more heart behind many of the artworks you’ll find across the city. Take a moment to explore these snapshots we took and always remember to look around you as there is SO much to see. 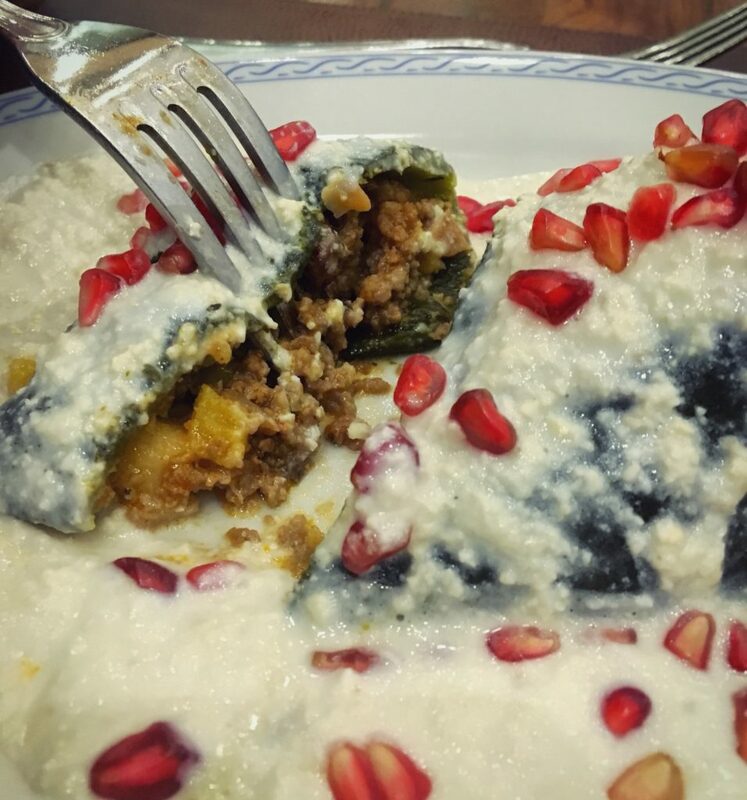 This is not the first foodie list you’ll read about Mexico City and certainly not the last. With the advent of Netflix subscriptions as well as a myriad of internet-based solutions, the amenities we have to explore a place before we even get there continuously astounds me. I’m a firm believer that an online experience MUST be had offline though as there is truly nothing that can imitate the first joyful reaction had when being presented with a plate of culinary excellence, elevated by the diverse tastes experienced on one’s own tongue. 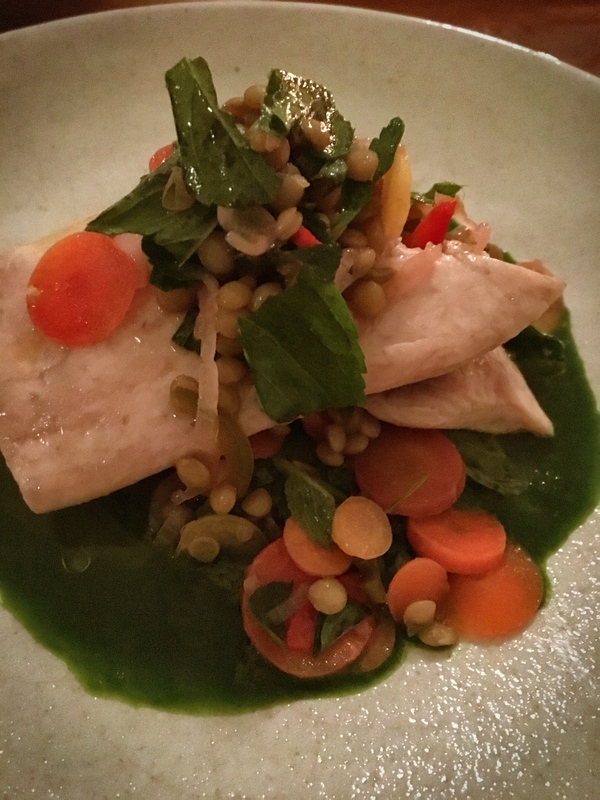 Watching episodes of Parts Unknown, Chef’s Table and Somebody Feed Phil informed my palate, with additional ideas gleaned through books, magazines, blogs (I liked Northern Lauren) and conversations with friends. 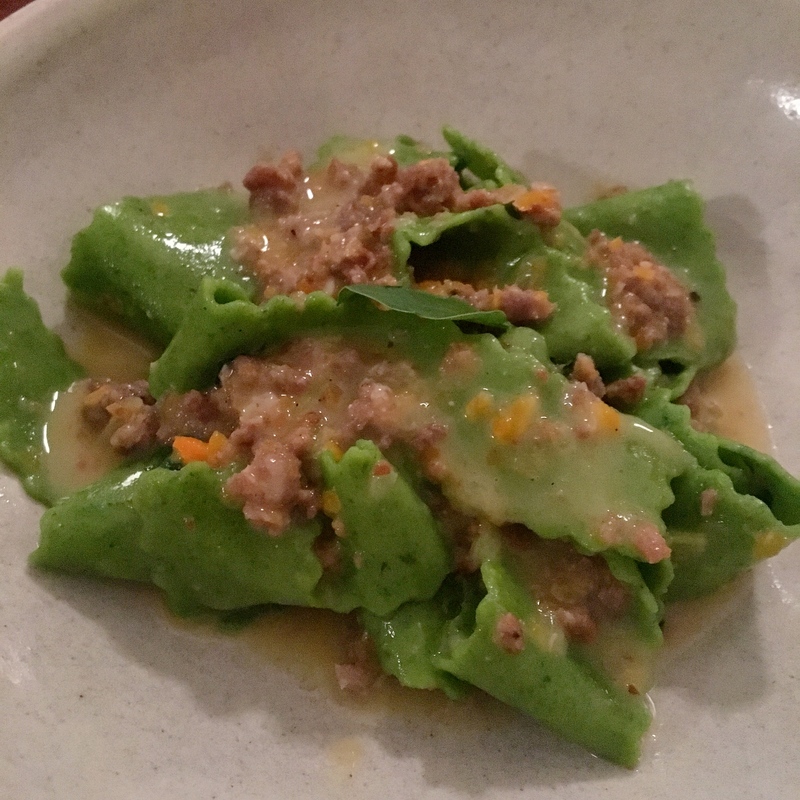 You’ll be told you “must” go to many places, but here’s the a selection of places we tried. I admit it. An episode of Somebody Feed Phil made me aware of this restaurant, but it had more to do with the soft-shell crab that Phil consumed that enticed me. 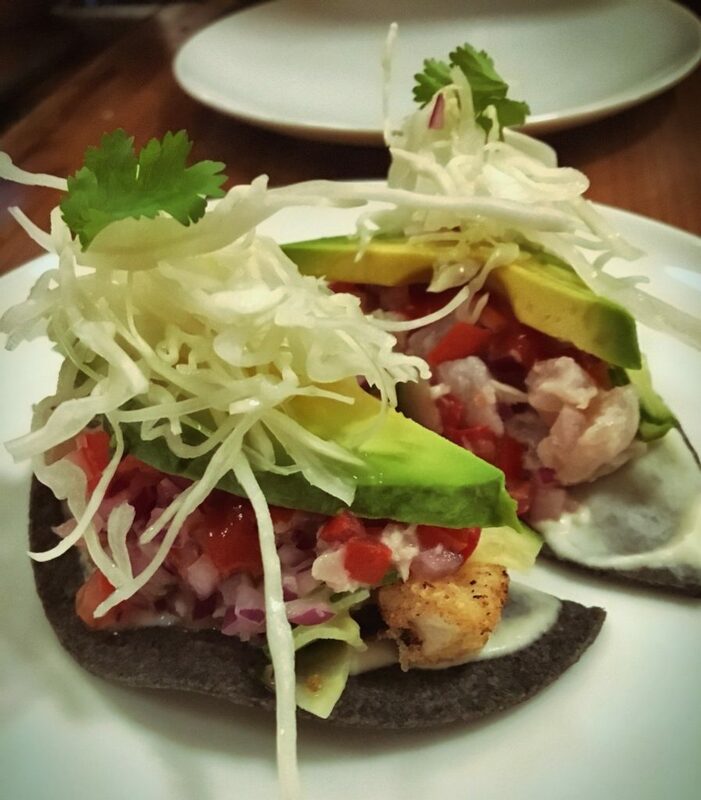 We enjoyed a delicious ceviche tostada with a mouth-imploding salsa (which I regretted sharing), followed by the infamous crab, wagyu meatballs and a baked rabbit salad. 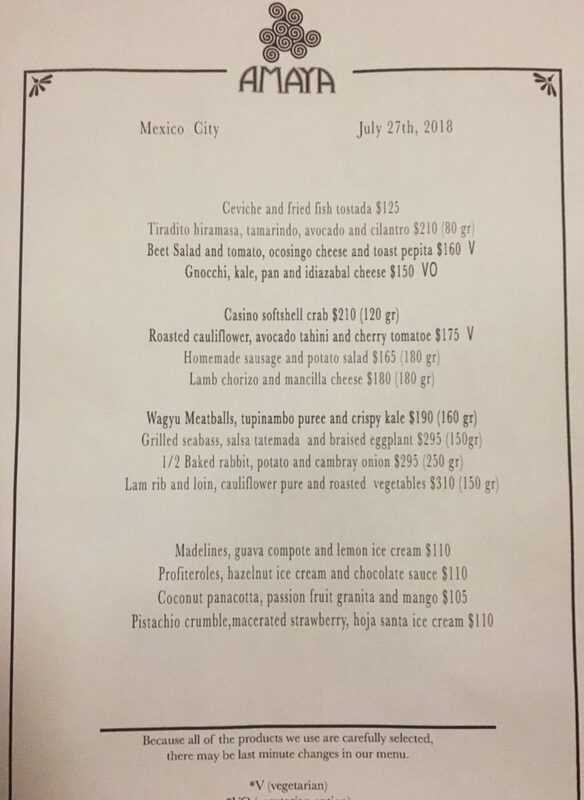 Complex flavours and considerate staff, they offered a menu in English and Spanish. A great first night meal at Amaya with an extensive cocktail and wine list. I hope for a return. 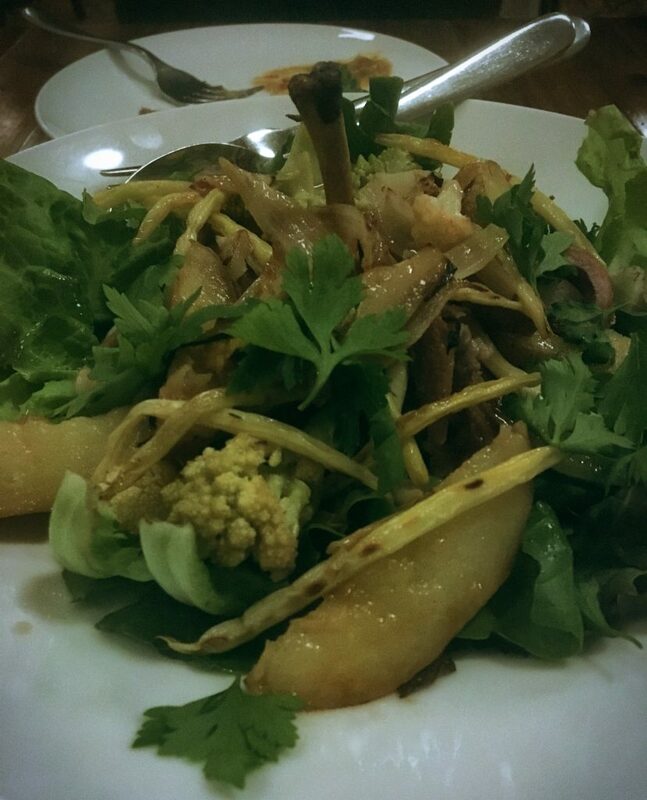 There are two locations of this fantastic restaurant which I was lucky to be recommended. 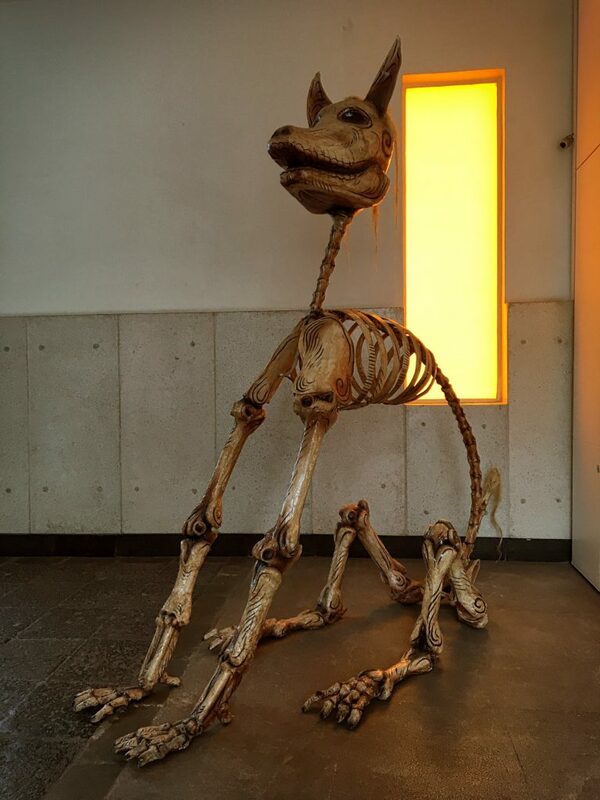 This particular location is found on the left side on entry of the Hilton Mexico City Reforma hotel, and believe me when I say you’ll want to repeat your visit. 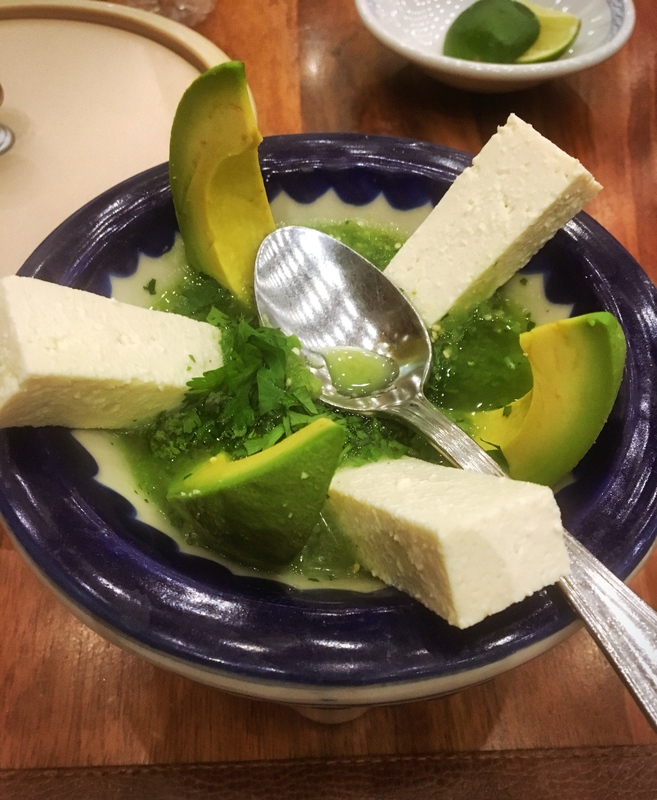 Featuring an extensive list of dishes that aim to demonstrate the best examples of cuisine across Mexico, prepare for a feast and be sure to tip the welcoming staff considerately. We ate here twice, feeling like gluttons on our first visit having not realised the fantastic avocado and cheese-laden salsa was a pre-cursor to our generous order. 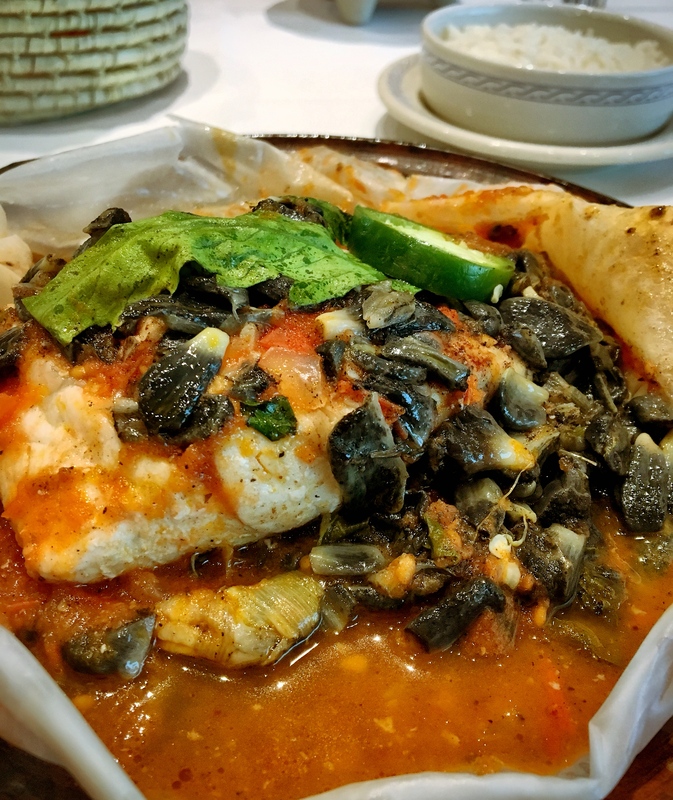 Fish and shrimp ceviches were fresh, tangy, and bountiful, as was the Tortas de Pibil; two soft sandwiches doused in rich, red sauce and stuffed with the most tender pork filling that had us ordering it on both visits. 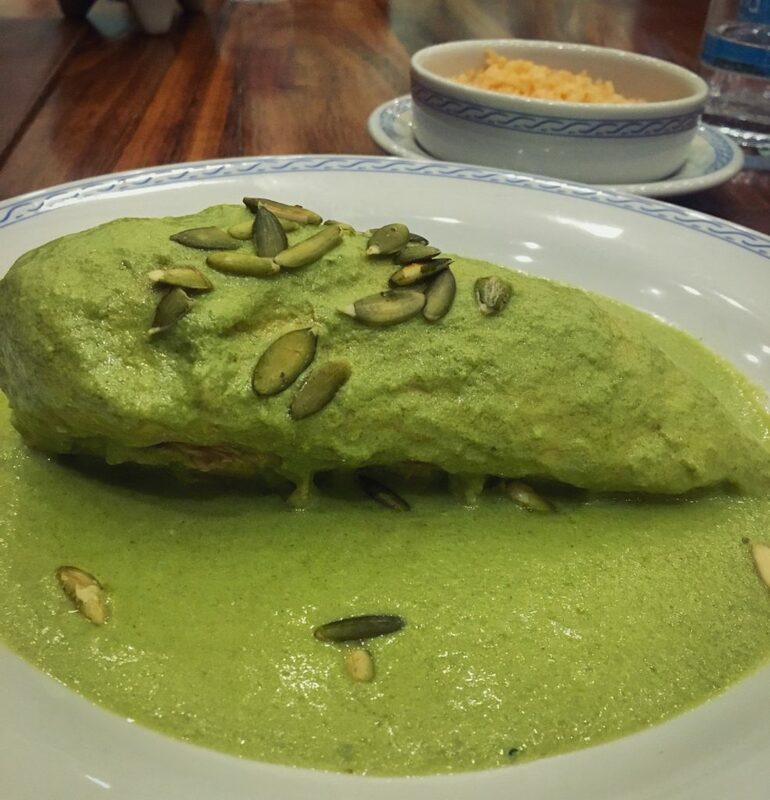 As mentioned, our first meal included a lot of food that we could barely finish including a wonderful chicken breast sat upon a plate of creamy green mole, so try a couple of dishes first and see how your stomach fares before letting greed get the better of you. 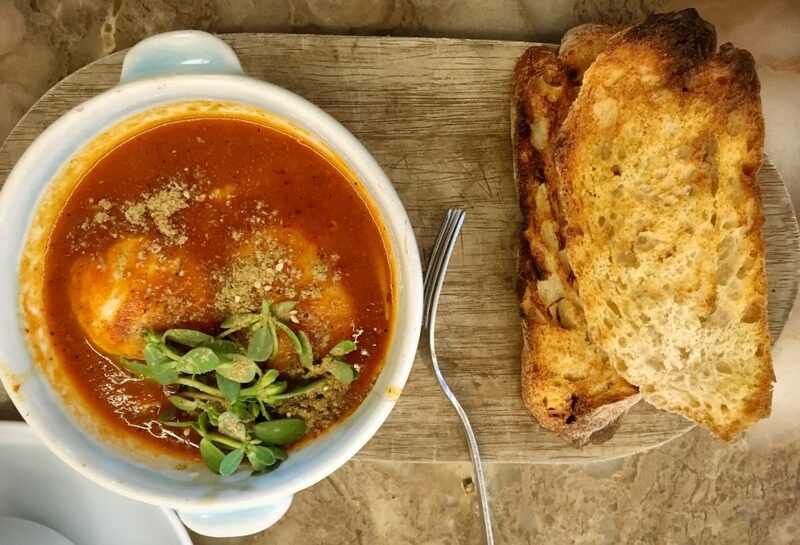 Located in the trendy Condesa neighbourhood, this breakfast/brunch-specializing restaurant was full of people on a Sunday morning, ranging from blushing locals fresh from their jog to chic sunglass-wearing women clutching a dog lead. 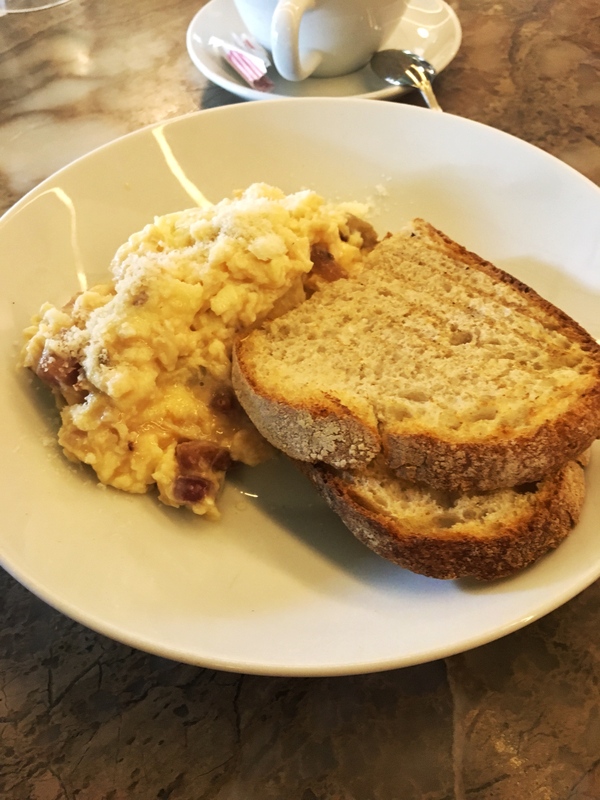 We ordered a scrambled egg dish with bacon and parmesan, as well as poached eggs in a tomato base sprinkled with Mexican herbs. Coffee was great and service was efficient. 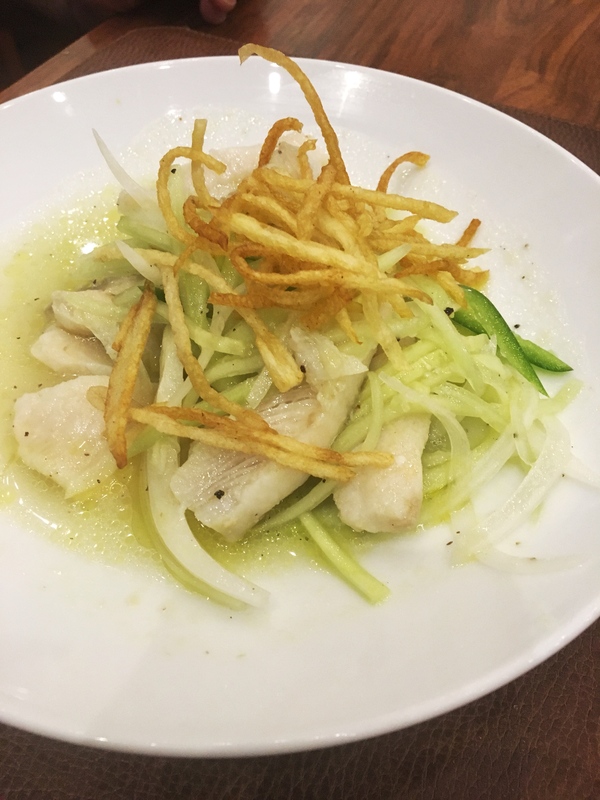 I would have liked to try more dishes as I was spoiled for flavour the day before in El Cardenal but I believe it’s worth a return. Another familiar concept which I have seen done extremely well at places such as the Mercado da Ribeira in Lisbon, Portugal is the public food hall—a dizzying variety of options without the pressure of committing yourself to one establishment. 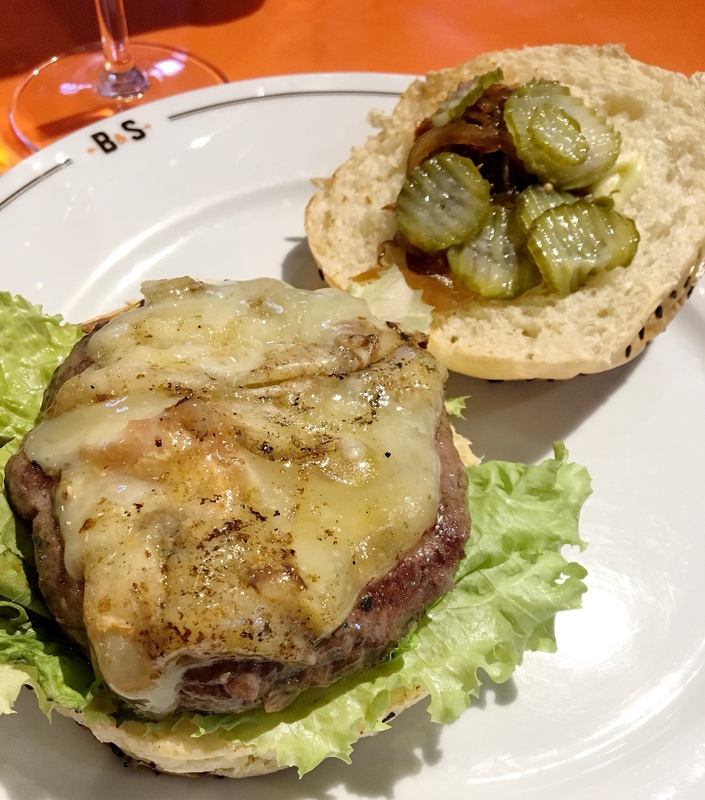 For a break from the spoils of Mexican cuisine, we opted to try a recommended burger chain Butchers & Sons which filled the void for a quick refuel. 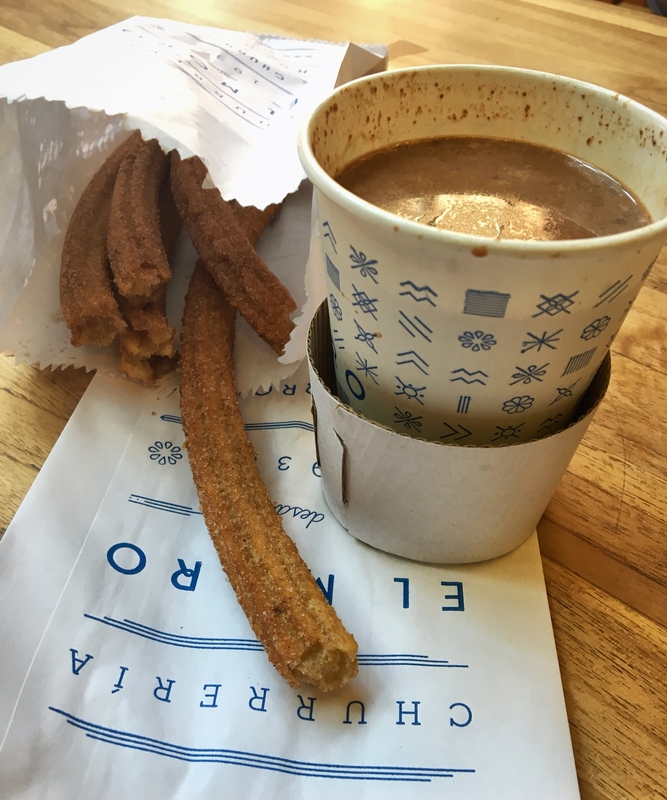 In the same place was the renowned chain of churros purveyors El Moro, which I believe is considered a mortal sin to not visit. Prices are indeed higher than one might expect to pay in a “market” but based on the location and choices available, it’s to be expected. Arriving on weary feet, I was relieved to find this taquería had a table for 2 available. Like many establishments that we visited across the city, English is spoken minimally so be prepared. 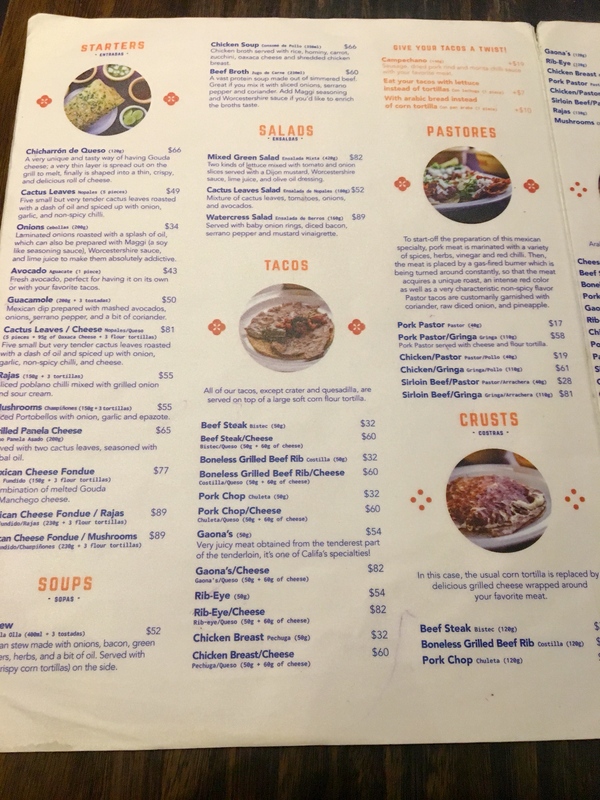 I came equipped with a pocket dictionary and some Latin language knowledge which helped me decipher most menus but you’ll be glad to know that El Califa also has an English menu, combined with speedy service and minimal staff engagement. 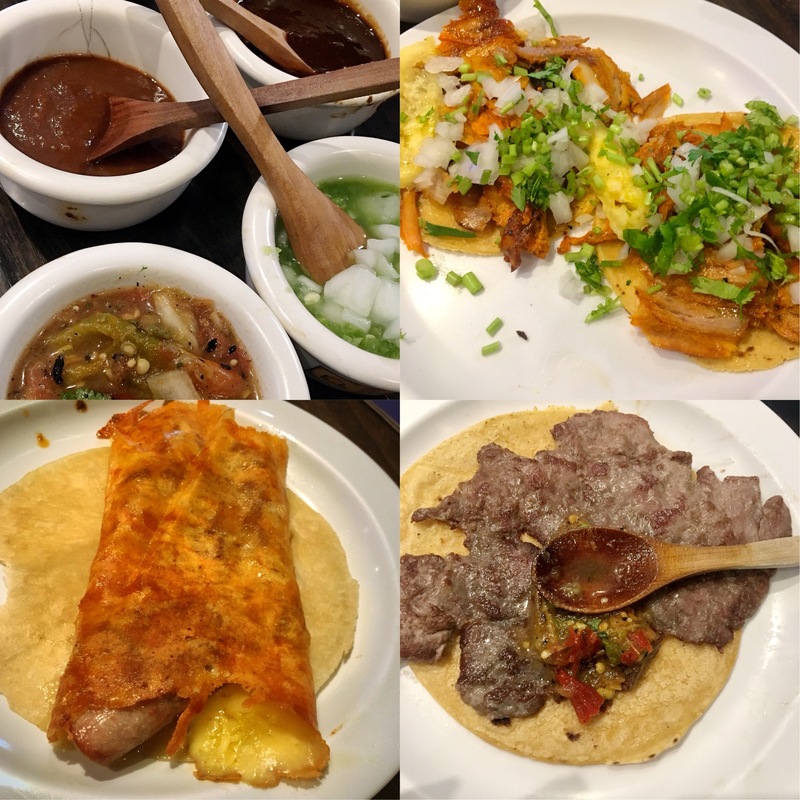 The El Pastor tacos are a signature dish and recommended for ravenous tourists, as is the taco wrapped in cheese (you read that correctly). I found most casual meals were well-accompanied by a cold bottle of beer so you might find the experience equally agreeable. It was a meal of absolute decadence, where there was a notable degree of formality in both surroundings and service. This is a recommended destination for many food lovers, much like Pujol which we did not yet get to try. Is it an essential experience? That is up to you and your budget, but the thought and attention that goes into these dishes should be tested before they are judged. The braised beef short rib melted tongues and the lobster carpaccio was exquisite so we left with fond memories. This bar gets special mention as it was one of the few drinking establishments we visited. It has even more special mention because it has no name. 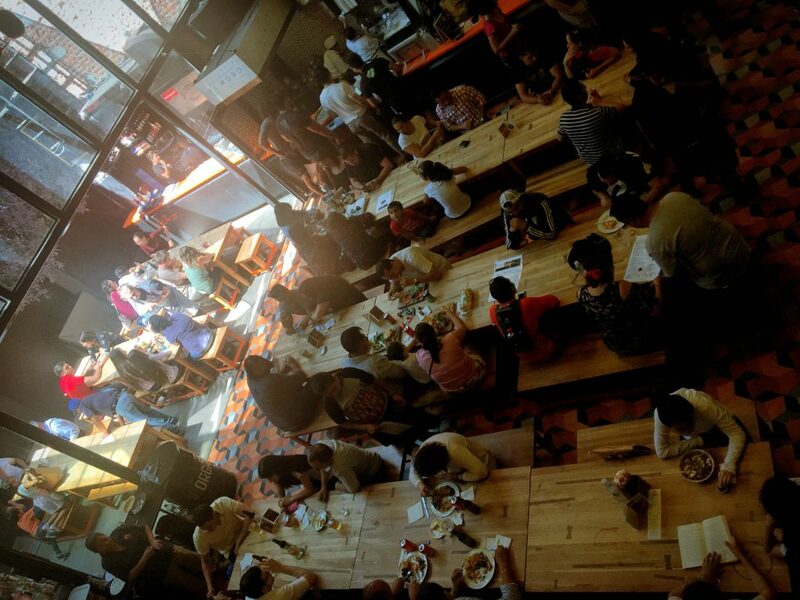 Located on Luis Moya 31, it is open Tuesday-Saturday after 7pm only and offers a menu of unbranded mescals for visitors to try (as well as a few beers and wine). We tested 3 mescals each from Jalisco, Ejutla and Dioseño regions, along with a healthy-sized dish of salted peanuts and left wanting more. A tight-squeeze for crowds in this narrow bar but darkly mysterious and candle-lit on the inside. Fun will be had here.